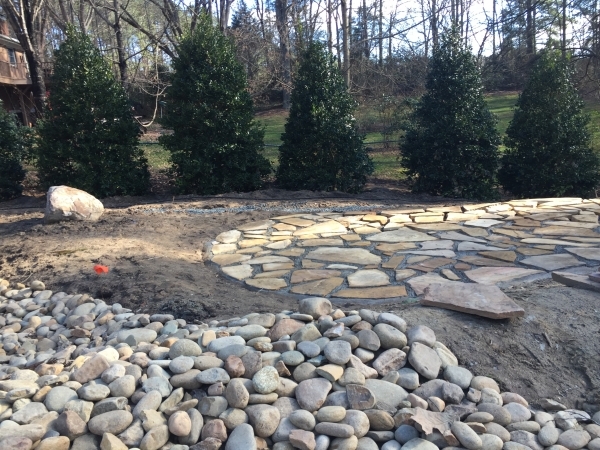 Natural Stone walls, patios, stepping stones and boulders are the architectural and functional features of our landscape installations. 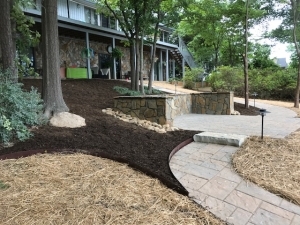 They underscore our design approach which is to use sustainable, natural materials. 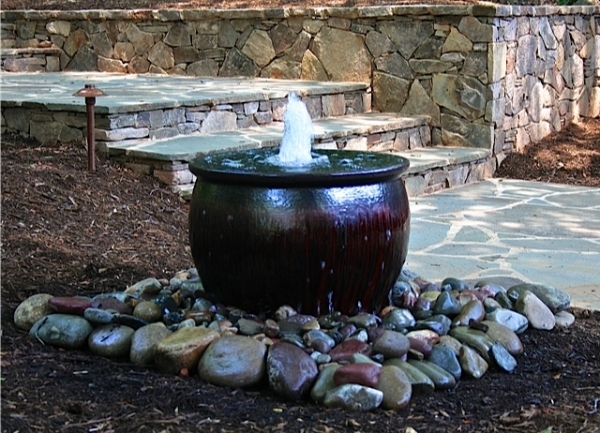 Natural stone is hard and organic, so it will last a lifetime in the elements. 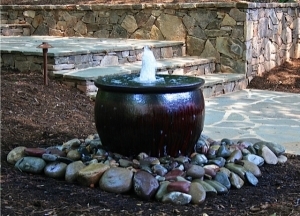 They also blend beautifully with the colors and shapes of outdoor spaces without an artificial or harsh look. 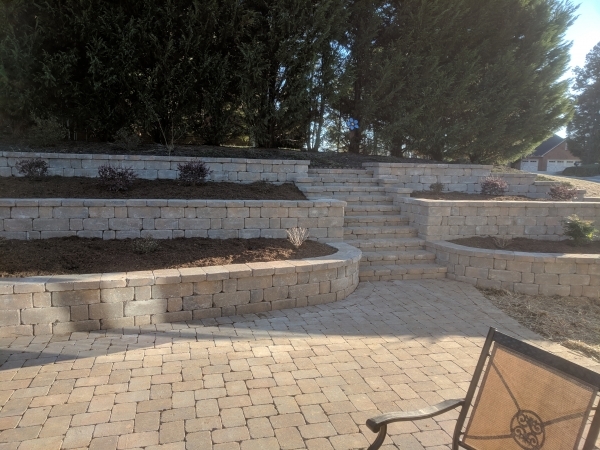 At Wilson's Natural Landscaping, LLC natural stone installation and hardscaping means more than simply laying down pavers. 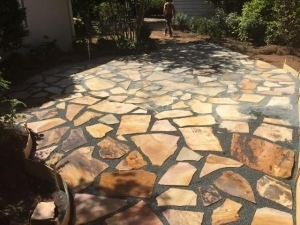 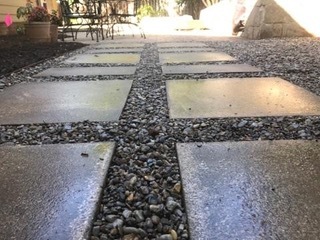 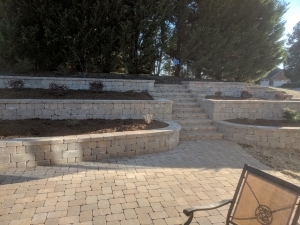 Our skilled stone masons craftsmen have years of experience creating hardscape features using beautiful natural stone that is locally-sourced, as well as pavers. 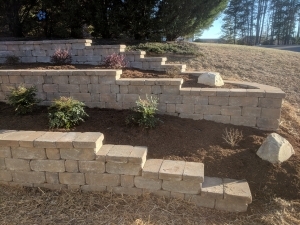 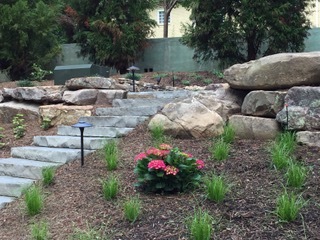 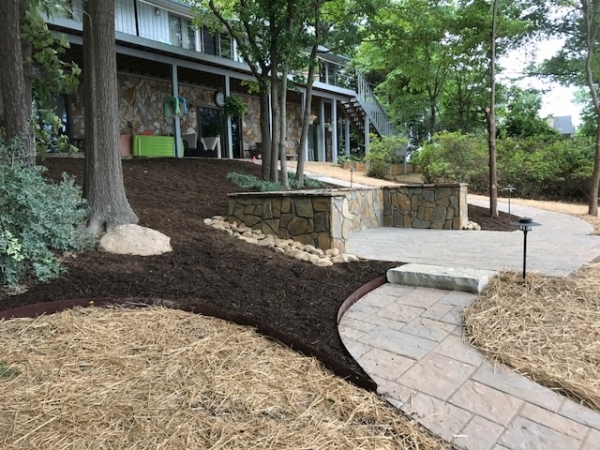 Hardscaping provides the backbone of your landscape design, and we are capable of creating an installing patios, retaining walls, water features and outdoor fire places, and fire pits. 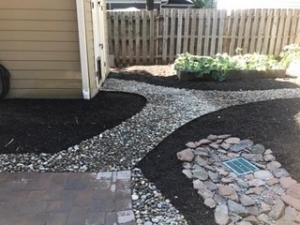 We over 25 years of experience, we are a company that you can trust to create beautiful, long-lasting hardscaping that will enhance your design. We work throughout the North Carolina region and are proud to service our clients with attention to detail and the professionalism it requires to ensure you will love your design for years to come!